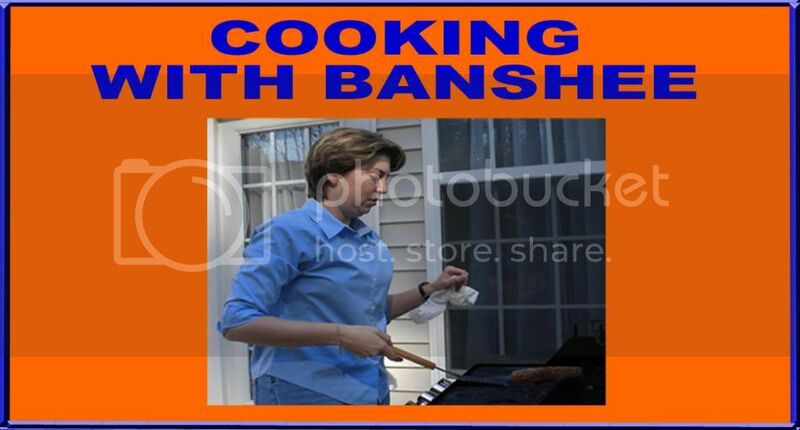 Banshee Blog exists to serve the people. And the people want the recipe to the gold margarita that was pictured in the recent chicken enchilada post. So, here it is. Fill a salt-rimmed glass with ice. Put a handful of ice into a cocktail shaker. Add the tequila, triple sec, lime juice and tangerine juice. Shake it up. Strain into the salt-rimmed glass and enjoy! The salt-rimmed glass is a big part of this recipe. As you can see in the picture, I make my margaritas in a short glass tumbler. To rim the glass with salt, I put a little bit of water in a saucer. I dip the glass rim into the saucer and then dip the wet rim into a dish of margarita salt. I do this before I start mixing the ingredients so that the salt can set up a bit. You can buy a container of the salt in most grocery stores and liquor stores. As far as the ingredients are concerned, I use Cuervo Gold tequila. I'm not a tequila expert. If you have another favorite brand, go for it. But, it does need to be gold tequila. Also, the tangerine juice is easy to find. Juicy Juice makes it. I know these margaritas are sweeter than the authentic ones you'll get in San Antonio. Regular orange juice will make these less sweet.